StoryFit works with publishers of all size and has seen how impactful a robust keyword program can be. Injecting backlist titles with keywords can increase sales online for titles that haven’t sold in months. One publisher we work with saw their click through rate increase over 100% after they added StoryFit Keywords to their books’ metadata records. But, on your own, keywords and metadata best practices can be confusing. Join this important webinar and learn how using the right keywords can improve discoverability and Amazon rankings. On Wednesday, March 28 at 10 a.m. central, join StoryFit keyword experts for a free 30 minute webinar that will detail the benefits of a robust metadata strategy, share keyword best practices for Amazon, and showcase the newest technology to expedite and optimize the keyword process. Get tips from industry leaders on how they analyze successful metadata programs and advice for ensuring long-term success with AI-powered keyword technology. Update: due to demand, we’ve added a second webinar on Wednesday, April 4 at 2 p.m. CST/3 p.m. EST! Mark Bessen, Director of Product. Mark Bessen is a data scientist with a passion for publishing. Before joining StoryFit, he was a data scientist for Apple’s iBooks and iTunes departments. 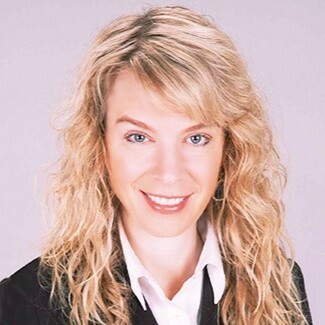 Mary Brendza, Director of Business Development Mary Brendza is an SEO and media expert with over twenty years of experience leading creative marketing teams that drive revenue and brand awareness. To learn more about StoryFit Metadata, click here. To read a publisher case Study, click here.